Initiatives to Workers, Professionals and Businesses. Education, job and other opportunity resources are brought out with signature On-line and On-road Technology. 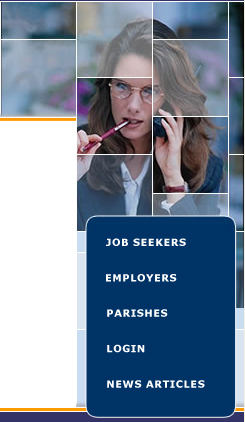 Parishes, Applicants & Employers get 21st Century software, complete with a state of the art satellite delivery system. 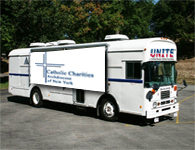 UNITE™ mobile education / resource centers roll out weekdays and evenings and weekends if needed. 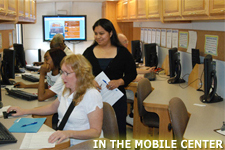 They deliver training, web-based Job Search Applications and other resources. Software by Outcomes™ UNITE™ is a trademark of RV Systems, Inc. All Rights reserved.